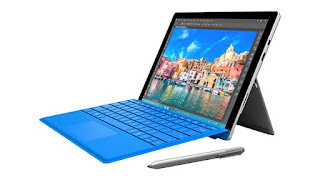 Many users have complained the battery is draining fast in their surface pro. Are you looking for a solution to this issue? Here is the good news for you. MICROSOFT has rolled-out its latest Windows 10 update, designed to improve battery life on Surface Book, Surface Pro 3 and Pro 4 models. In midst of speculations that Microsoft is preparing to launch a brand-new device for its Surface series, Microsoft has also pushed-out new updates for existing devices. Microsoft has rolled-out a series of performance improvements for the Surface Pro 4, Surface Book, and Surface 3 two-in-one device. The latest Windows 10 updates take care of the battery life and power management of these popular devices. Microsoft has included two battery-boosting driver updates, one for optimising the screen brightness when the device wakes up from sleep or hibernation.